Targeted to launch in mid-2019 aboard a Starliner spacecraft atop a United Launch Alliance Atlas V rocket from Space Launch Complex 41 at Cape Canaveral Air Force Station in Florida. Eric Boe was born in Miami but grew up in Atlanta. He came to NASA from the Air Force, where he was a fighter pilot and test pilot and rose to the rank of Colonel. He was selected as an astronaut in 2000, and piloted space shuttle Endeavour for the STS-126 mission, and Discovery on its final flight, STS-133. Chris Ferguson is a native of Philadelphia. He is a retired Navy captain, who piloted space shuttle Atlantis for STS-115, and commanded shuttles Endeavour and Atlantis on STS-126 and STS-135 – the final flight of the space shuttle program. 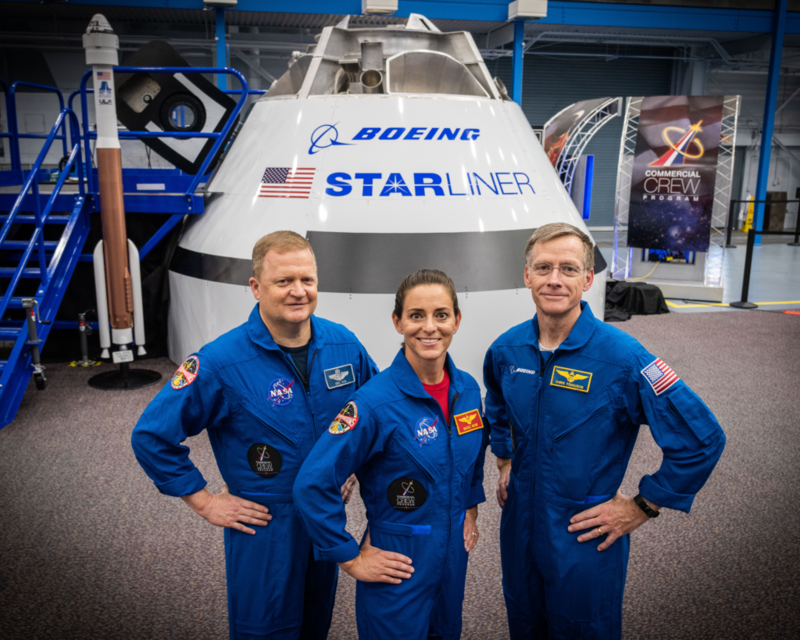 He retired from NASA in 2011, and has been an integral part of Boeing’s CST-100 Starliner program. Nicole Aunapu Mann is a California native and a Lieutenant Colonel in the Marine Corps. She is an F/A-18 test pilot with more than 2,500 flight hours in over 25 aircraft. She was selected as an astronaut in 2013, and this will be her first trip to space.